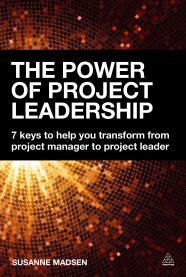 Last month I read Susanne Madsen’s book, [amazon text=The Power of Project Leadership&asin=0749472340] (and I have a copy to give away in April too). I was struck by how practical it was. Often we think that leadership is about character and attitude (read my take on the traits of good leaders here) and forget that you can actually practice being a better leader by coaching yourself in the right behaviours. That’s what Susanne’s book basically does: it shows you how to ‘do’ leadership. Susanne, there’s a lot of buzz around project leadership at the moment. It’s become a ‘thing’. So what’s the deal – why does leadership on projects matter? When we use leadership to run a project, in addition to management, we are more likely to deliver real benefits to the client and the users, and to fully engage the team and the stakeholders in the process. The reason is that when we exclusively use a management approach (which most project managers do) we are transactional and predominantly concerned with the task-oriented aspects of the job, such as planning and ticking off work items. But because projects aren’t purely mechanical, we need more than a rational task-oriented approach to deliver them. When we use leadership, we are more people-oriented, strategic and visionary, which helps us to motivate and inspire people to deliver the project’s outcomes. That’s what it’s all about; empowering people to contribute to a bigger vision – and ensuring that the vision adds real benefit to the client. I know many project managers are very comfortable managing but the idea of being a leader worries them. Can you still get results if you don’t feel ready to take on a leadership role or is leadership the new de facto requirement? Different projects require a different set of skills from the individual project manager. Complex projects that have many stakeholders, a volatile environment and maybe an inexperienced project sponsor will need more leadership than a small and simple project. Having said that, on any project it is people – and not the processes – that make projects happen. This means that any project manager who wants to be successful will need to develop and make use of emotional intelligence in addition to their cognitive intelligence. Unfortunately it is still the case that many project managers lack basic people-skills and aren’t able to easily build trust and influence people. So I would say that project leadership isn’t the de facto position yet, but that I hope it soon will be. Well, the leadership angle certainly makes project work more interesting, in my view, so I’m happy with that. In the book you talk about authentic leadership. What does being authentic look like? Being authentic is when every project manager truly knows what they stand for and what they believe in. When we have a clear sense of our values it is much easier to do the right thing in any given situation and to intuitively lead others. When we lead in an authentic way it means that there is harmony between what we think and feel on the one hand and what we say and do on the other. We focus on delivering value and standing up for what we believe is right rather than playing favorites or engaging in dishonest politics. The true test of authenticity is how we actually behave under pressure and when things aren’t going our way. If we don’t act with integrity in those situations – by not doing what we said we would – trust is broken and not easily regained. You also talk about creating an empowered team, which must also be important for maintaining trust on the project. How do you do that? Empowering the team is big topic that I have dedicated an entire chapter to in the book. Empowering people is about involving and engaging others, facilitating collaboration at all levels, and enabling the team to grow and do what it does best. OK, but how do you know if your team is empowered? You know you’ve got there when people work autonomously and contribute with powerful ideas and solutions without your active involvement. One of the tips I have for creating an empowered team is to read up on emotional intelligence and to start using it to better understand people on the project. Listen, observe and ask questions. Don’t feel that you have to know all the answers and that things have to get done your way. Be the enabler, guide and coach rather than a dictatorial general. Tightly controlling people is one of the most predictable ways of killing engagement and to disempower people. Instead, ask lots of (what-if) questions, create the space for people to step up and give people the autonomy to decide how to do their work instead of being too prescriptive. Your book is aimed at helping others learn to be a better leader. What did you learn writing the book? I did a lot of research when writing the book and learned a lot – especially about innovation and how to get the team to step in and contribute by asking “what-if” questions. “How”, “what”, “when”, “where” and “who” questions aren’t necessarily the best at opening up people’s minds to move beyond the status quo and into creative thinking. What-if questions, on the other hand, challenge the team not only to think but to rethink. For example; what would we do if we knew we couldn’t fail? What if we could achieve the impossible? What if we could solve this problem faster than anyone else? The best what-if questions are those that people can’t answer based on what they currently know. These questions spark intellectual curiosity and create space for people to step in and get involved. And what actually happens is that the burden of thinking shifts from the project manager to the team, which is when real project leadership begins. This isn’t your first book and you’re now a sought-after coach and trainer. What’s the one question you get asked most by the project managers you meet? Project managers often ask me what they can do to gain buy-in from stakeholders and people in other departments who are contributors to their project. They feel that they constantly have to chase to get what they need, whether it’s information, decisions, resources or completed tasks. The basic way to improve buy-in is by strengthening individual relationships. Project managers have to put their transactional task-oriented mindset behind them and instead focus on getting to know each person, their situation and “what’s in it for them”. When that happens, trust, commitment and buy-in begins to form. It sounds simple, and in many ways it is, but what’s hard is setting time aside and doing it. Project managers have to accept that building relationships and truly understanding what’s going on for someone else is as big a part of the job as creating milestones plans and risk registers. Thanks, Susanne. What do you hope people will do after reading this? I would like to encourage project mangers to start thinking of themselves as role models. When we know that other people will follow our example, we raise our standard and become more conscious about how we act and what practices we use to run projects. Our industry needs great role models and I would love to see more project managers step up to the challenge and begin to mentor people around them. About my interviewee: Susanne Madsen is an internationally recognised project leadership coach, trainer and consultant. 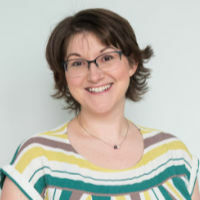 She is the author of [amazon text=The Project Management Coaching Workbook&asin=1567263577] and [amazon text=The Power of Project Leadership&asin=0749472340]. Prior to setting up her own business, she worked for 17 years in the corporate sector leading large change programmes of up to $30 million for organisations such as Standard Bank, Citigroup and JPMorgan Chase. She is a fully qualified Corporate and Executive coach and a member of the Association for Project Management (APM).